Over 600 people traveled from across the U.S., Canada and beyond to attend the Best Practices for Oil and Gas in The Woodlands in October. Attendees heard keynote addresses from the CEO of Aera Energy, Christina Sistrunk; Chief Economist from Phillips66, Horace Hobbs; Global Vice President of O&G at SAP, Benjamin Beberness; Gregory Bayne of Total Leader and Coach Solutions; and headlining decorated Navy Seal and best-selling author, Marcus Luttrell, the Lone Survivor. 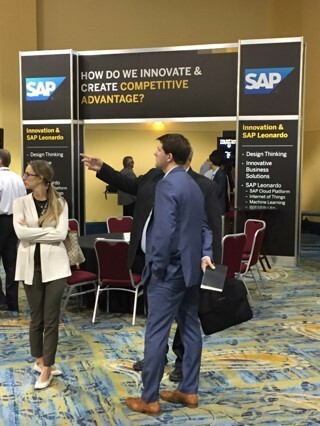 Our partners got great exposure and interaction in the demo area, which includes new “Cornerstones for Digital Transformation” in each corner of the exhibit hall where attendees could learn what they need for digital transformation, how they can accelerate implementation, discover best practices, and see latest innovations with SAP Leonardo. By almost any measure, the conference was a tremendous success. 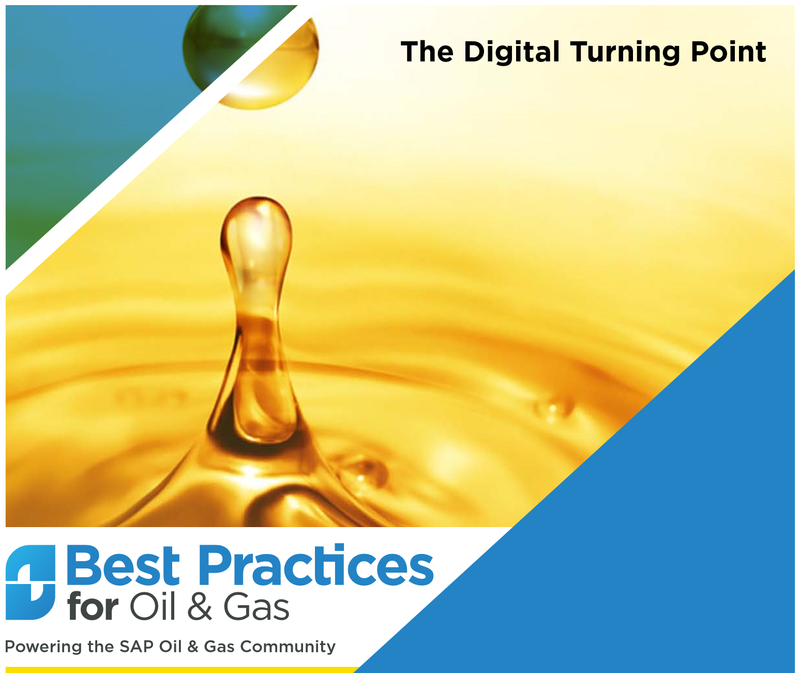 Unlike many other events, content for the Best Practices for Oil and Gas conference was heavily influenced by industry through focus groups led by event organizer The Eventful Group, and by the Americas SAP User’s Group (ASUG). 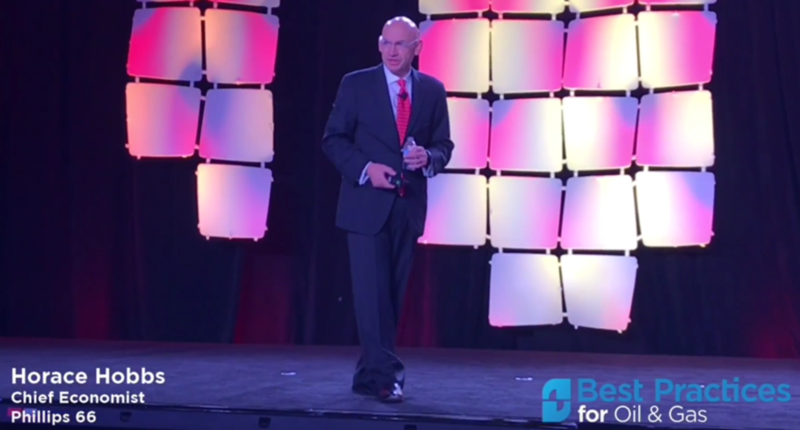 As with the theme of this year’s conference, it was clear the industry it in a profound state of change. Companies are embracing technologies like Internet of Things, Blockchain, and Artificial Intelligence to innovate in new ways to solve old problems. 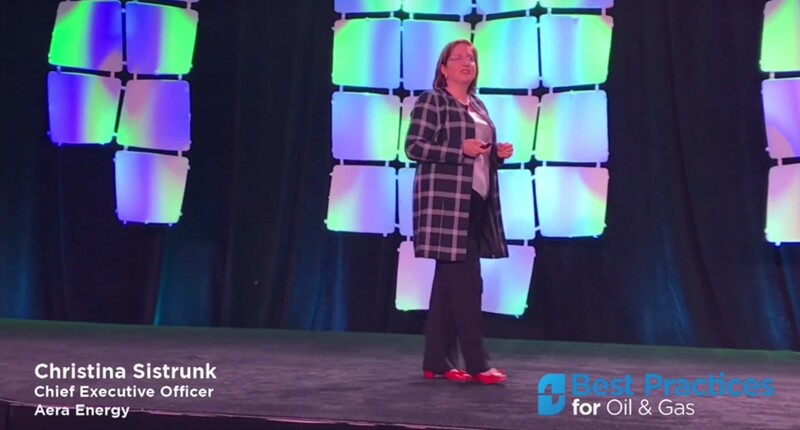 Christina Sistrunk, CEO of Aera Energy, deliverd a keynote highlighting Aera’s focus on value vs. volume in light of the sigficant change in market conditions over the last few years. During her presentation, she explained how Aera was able to drive $300 million out of their cost structure with this approach. See a video clip here. Benjamin Beberness delivered the SAP keynote, and the focus was on the collaboration SAP has had within its user communities and partners to make their digital transformation journey safer, faster, and clearer than ever before. He shared how SAP is responding to customer feedback to make it easier to leverage SAP S/4HANA to transform and help automate business. He emphasized that the time to act is now, and referenced how many customers have already started their digital journey through SAP’s Customer Engagement Initiatives. See a video clip here. Even though O&G is considered a conservative industry, most are clearly embracing Cloud technology as a way to achieve faster time-to-value, lower total cost of ownership, and better collaboration. In fact, in a recent report by IDC Energy Insights, they predict that by 2019, 25% of oil and gas companies will have moved critical applications to the cloud, thus improving security, efficiency, performance, governance, and cost. Several use cases were presented at the conference, including sessions by Shell Aviation and Love’s Country Stores, who are leveraging SAP Cloud Platform to deliver tremendous value to their respective organizations. See a video on Shell Aviation’s solution here. With the 1610 release last year, and even more so with the 1709 release this year, significant industry-specific functionality is integrated with SAP S/4HANA. 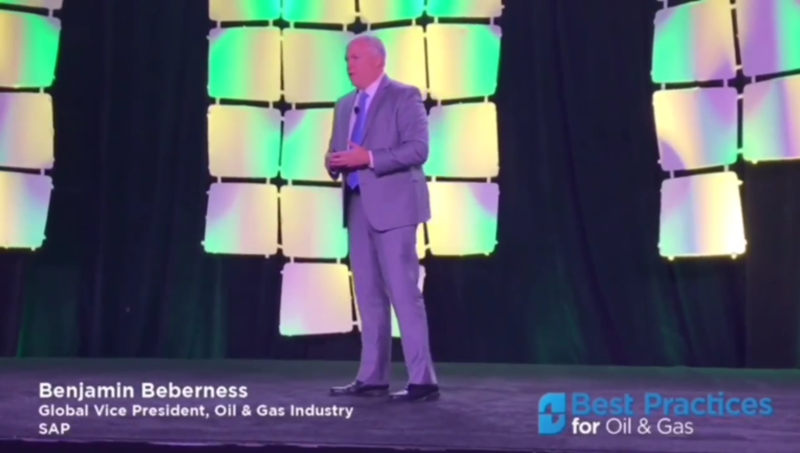 In his keynote, Benjamin Beberness explained how SAP now has over 1,000 customer live on SAP S/4HANA, and since BPOG last year, active implementation in O&G have gone from 8 to 57! 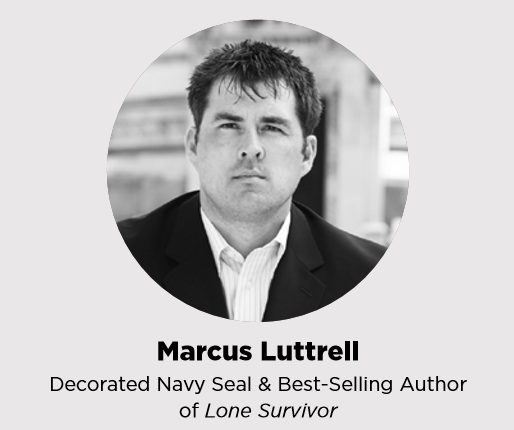 Marcus captured the full attention of the audience while sharing his emotional story of the battle that claimed the lives of the rest of his SEAL Team, and left him alone, and fighting for his life in the Afghanistan wilderness. A new attraction this year in the exhibition hall, each corner was dedicated to answer a specific question around helping customers with their digital transformation, including one corner dedicated to innovation and SAP Leonardo. This included SAP’s Transformation Navigator to help customers identify what they need for digital transformation, as well as S/4HANA O&G Adoption Program services to help customers implement S/4HANA, and SAP Model Company to learn of industry best practices. 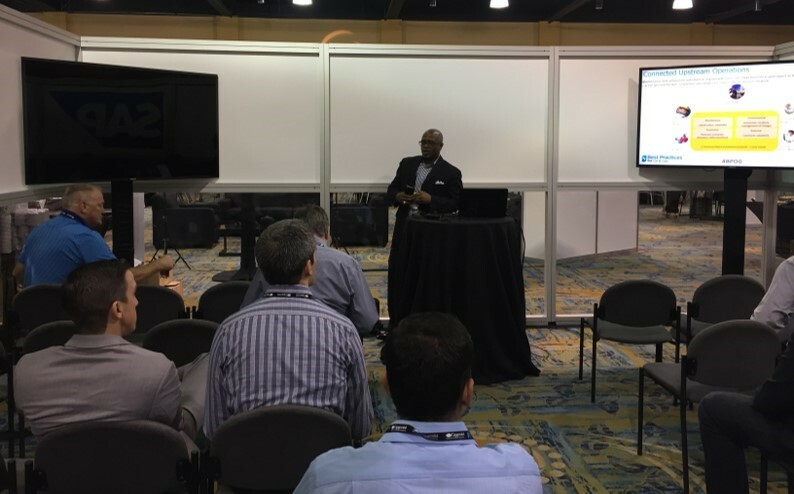 Also new in the exhibition hall this year was the Digital Experience Theater where 20 scheduled demos were provided in an intimate setting with a solution expert. All sessions were very well attended and feedback from attendees very positive since they could see the “real” thing, and not just PowerPoint. Nothing speaks more to the growing popularity of the conference than the number of companies wanting to be a sponsor. The Eventful Group ended up with 36 sponsors of varying levels. 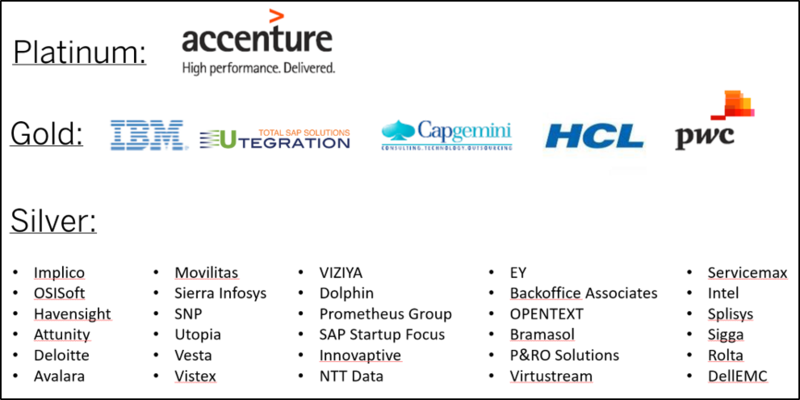 Sponsors also had access to the digital experience theater and the Cornerstones of Digital Transformation along with SAP.